"This exciting salsa is bursting with flavor! If costeno chile peppers are not available, try substituting de arbol peppers -- they work just as well! 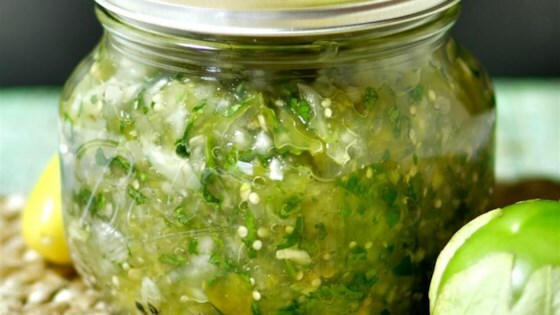 This spicy salsa is great with fish, meat or chicken." Amazingly good. I used this on fajitas and enchiladas. I have no doubt it would be good on just about anything. Add a squeeze of lime for a refreshing kick. Thank you for the recipe.